Journey to the Dark Goddess: How to Return to Your Soul by Jane Meredith is a startling combination of a spiritual guide book and a very practical how-to manual. It is almost more self-help than a spiritual book, although you can take it in a Pagan interpretation. Here in one book are the myths of the Dark Goddess and those who journey to the Underworld to meet her--Inanna and Ereshkigal, Persephone, and Psyche--as well as the explanations of why and what these myths mean spiritually and psychologically, personal experience stories and clear instructions for rituals to consciously choose your journey of transformation. Meredith sees the Dark Goddess as that which has the power to transform us through inner work. Because most people avoid deep inner reflection, we are usually brought to it through hardship, disaster, illness, loneliness, grief or depression. Meredith's concept is that a person can choose to take the steps necessary to meet transformation on our own terms--before it is forced upon us through circumstance or, if necessary, during such circumstances. Overall the concept is solid and well explained and executed. There is some moderate repetition but for those inexperienced with the concepts and ritual format, it will likely be helpful. The sections are well labeled and it is possible to navigate in the book, if the repetition does bother you. The writing is clear and enough flexibility is left in the instructions for the steps to be practical for a wide variety of people. If there is one thing that left me concerned in this book, it was the author's wise assertion that individuals consciously undergoing such a passage should always have support persons lined up in advance with specific instructions for helping the seeker should she get stuck in her process. Primarily this includes reminding the person on the journey to the dark goddess to eat, sleep and exercise regularly. It also means providing compassionate moral support. While this is excellent advice, there was very little in the book on how to find such support or what to do when it is lacking. In today's world, it is not always easy for individuals to find authentic support and a large reason for seeking out such a book could well be isolation and social alienation. It may simply be that the author has no answers for this particular conundrum. She does not claim to have all the answers and in fact uses examples of her mistakes along the way as useful teaching tools to show how the steps of the journey should and should not be done. Over the past month, I have experimented with the rituals, imagery and myths in this book. It just so happened that this book arrived on my doorstep at a time when I had to enter a dark and frightening situation consciously. I have been legally blind all my life, but my eyesight has largely remained stable. To others it may seem very weak, but I am very glad for what I have. Suddenly in the past year my sight started to fail due to cataracts. And I was told that I am in a high risk category for cataract surgery. I could become totally blind very quickly if the surgery didn't go perfectly... and there is a lot that can go wrong. The surgery had to be scheduled at the darkest time of the year--November and December--to minimize risks. And so while I normally guard myself against the harsher parts of life at this time of year, I now had to face them fully. I also had a support person available both for the surgery and for the journey to the Dark Goddess. It was quite a coincidence that the book arrived at just such a time, so I decided to go through it in a practical way. I have been through some dark periods--depression, social ostracism, infertility. So, I know what Meredith means when she describes a journey to one's personal underworld. There are a dozen rituals described in Journey to the Dark goddess but not all of them are mandatory for such a journey. I did some of the preparation rituals and exercises with curiosity but little deep connection. Then when it came time for me to consciously descend into the dark, I combined the ritual of the seven gates to the Underworld described in the book with a ritual sauna in an underground cellar and a time of utter silence. My experience of the seven gates to the Underworld was quite different from what Meredith describes. It was a very powerful ritual, but I felt somehow detached from my emotions, which are usually rampant. It was almost as if I was watching myself from outside myself, watching this person I barely knew falling and disappearing into the gloom. After an entire moon in which I underwent two surgeries, a month of enforced rest and near isolation, and much upheaval in my relationships and household, I finally felt the flickering of returning energy . Those things I had relinquished on my way to the Underworld--attachments to family, home, status and cherished skills--had reordered themselves and taken on a different significance. In the end, while my experience is not the same as Meredith's, it was very helpful to follow her guidelines and concepts. I'm not sure if readings of J.R.R. Tolkien actually coincided with receiving my mother's milk, but it is plausible in my case. In any event, I am one of those people who loves everything Tolkien. I wrote love-sick poetry about Tolkien's characters and read The Silmarillion as a child. And I have never grown out of it. So, I was devastated one night when I was twenty years by a friend's gut-wrenching accusations of racism and Nazi sympathies on Tolkien's part. This was while I was crashing at this friend's house in New York City during one of my globe-trotting journalistic treks. My friend was Jewish and I was very blond. I felt put on the spot. I also lacked the information and research to discuss the issue. Runes. Tolkien was really into runes and the Nazis were into the same runes at the same time. Everything evil is dark in Tolkien's books. Everything evil is from the east in Tolkien's books. The evil army has elephants or something very like them in Tolkien's books, so he's against Africans and/or Asians. He was a white South African. That is basically just the definition of racist. Needless to say, I was heartbroken. I loved Tolkien the way some people love coffee. I needed Tolkien, and yet I was very concerned about issues of racism and possibly even overly educated about the horrors of the Nazi regime because I read a lot of books by Holocaust survivors after I had read everything I could find written by Tolkien. And this friend of mine was something of a journalist mentor. Tolkien didn't write in the time of political correctness, so he used dark to simply mean "night" and "scary things." Tolkien's primary heroes are small and curly haired. He goes on at length about how the tall Nordic types are not really all that great. This does not sound much like a defense of the Aryan race. The visit ended without resolution and although we didn't have a clear break, my friend and I were never close again and never again met in person after that night. I am sure this controversy had something to do with it and I have always wondered about it with sick dread and angst in my heart. I didn't argue with much conviction even then. I was afraid that my friend might be right and a piece of my identity must be destroyed..
What if I am wrong? What if Tolkien was a closet Nazi? What if using the runes in our spirituality is tainted? And finally, twenty years later. I have the answer to part of it at least. And that is thanks to the fact that some people don't sit around wondering things like this for twenty years the way I did. Some people do the research and write a book about it. One of them is Rebecca Beattie, author of Nature Mystics: The Literary Gateway to Modern Paganism. Beattie started out with a fairly obscure literary goal: to identify and study authors who laid the literary foundations for modern Paganism, or put another way, who helped to make the revival of European Paganism possible. I am interested in social movements and the book looked like pleasant enough reading, so I took it on. First off, the writing is personable and interesting, containing just enough detail to give a feeling for the context of each author presented. The book doesn't utilize an overly academic tone, while still producing evidence for any conclusions the Beattie makes. She states that the book is not an academic work but rather a book in which modern Pagans can seek our roots. For this reason, it isn't overly belabored by in-text citations, but it does have an extensive bibliography and sources are cited where needed. All the sections are interesting, looking objectively and at times ruthlessly, at the lives, writings, politics and activities, of the novelists most influential to modern Paganism, including John Keats, Mary Webb, William Butler Yeats, Mary Butts, E. Nesbit, and of course, J.R.R. Tolkien. Beattie presents arguments for why each of these authors and more should be considered a "nature mystic" and a significant contributor to modern Paganism. She is not complimentary about some of them, however. Some of these authors had less than savory political connections or personal relationships and she reports all this without hesitation. One might expect such a book to make much of the contribution of J.R.R. Tolkien the one author on the list guaranteed to be recognized by every single Pagan today. But the opposite is actually true. Beattie delves into Tolkien's repeated declarations that his books have no spiritual or allegorical message, that they are simply fiction for fiction's sake. And comes up crediting him with telling the truth on that one. Beattie doesn't include Tolkien in her list because he provided several generations of fans with a medieval mystique, trappings, costumes and cadence of speech to aspire to. She doesn't include him because she believes there is some greater Pagan message in his works. Actually she makes the case for him being the most staunch supporter of mainstream Christianity of all of the writers explored. Beattie did the research--which wasn't so widely available through the internet twenty years ago--and found Tolkien's actions with regards to racism and the Nazis. He was born in South Africa and left for England as a boy. Later he became active and vocal against the Apartheid regime. It may be easy to dismiss this as easy armchair criticism from a distance without risking anything. But the same can't be said for his interactions with the Nazis. The story Beattie tells--one I have since confirmed--is that in 1938, a German publisher was preparing to translate the Hobbit into German. Tolkien had more than just the royalties riding on this. A friend had a stake in it and Tolkien didn't feel he could opt out of the deal easily. But when the publisher demanded that he produce proof of Aryan descent, Tolkien flatly refused and wrote a scathing letter in reply, only first asking that his invested friend approve his use of fiery language. I am not of Aryan extraction--that is Indo-Iranian--as far as I am aware none of my ancestors spoke Hindustani, Persian, Gypsy, or any related dialects. But if I am to understand that you are enquiring whether I am of Jewish origin, I can only reply that I regret that I appear to have no ancestors of that gifted people. He might just as well have joined his countryman Trevor Noah on the Daily Show to ridicule Nazi stupidity in race classifications, pointing out that he Aryan tribes of Northern India that they were so obsessed with really had more to do with the "Gypsies" (i.e. Roma), who the Nazis viciously persecuted, than they did with Germans. Tolkien must have felt then a bit the way we feel today with Donald Trump. He fought for England in World War I but by World War II he was too old to fight. All he could really do was ridicule them and be willing to risk his business interests if necessary to tell them off. I thank Rebecca Beattie for the leg work on this one. And as for the late-night debate of twenty years past. I am sorry I didn't know this then because, with all the heartache there is on this subject, my friend deserved to know J.R.R. Tolkien was a voice on her side at a time when many--even in England--were still relatively friendly to the Nazis. I think a Goddess may have chosen me. I say this not with the connotation that I am special. Instead I feel as though I was trying in vain to find my own Gods for a good part of my adult life. I'm too analytical for this to be a conscious task. Instead, I think a Goddess has finally chosen me--in the same way that I think a God or Goddess would choose every one of us if given a chance. I was brought up with earth-based spirituality, but not much focus on deities. We had Greek, Norse and Native American myths and I felt a spiritual connection to the stories of Persephone and Demeter and I liked Thor simply for his brashness. But other than that, they were just stories—stories of significance and meaning, sure, but not infused with that sense of powerful consciousness and personality that seems to mark the true presence of a deity for others. Then a few years ago, I began noticing references to Brigid in increasing frequency—in stories that I read or in spiritual books and divination. The name kept coming up. I had never even heard of a Goddess named Brigid before that time. And I felt it was too cumbersome a name to give to a child, even though I had good reason to like it. When I was sixteen, I ended up alone and frightened at a strict Catholic school in Germany among strangers who vocally rejected me because of my vision impairment. The one person who was kind and accepting toward me was a classmate named Birgid, obviously a variant of Brigid. I was not able to stay in contact with that classmate, but over more than twenty years, her memory has always stayed strong with me. And so when I began to hear the name Brigid, I connected it to that memory. As such, Brigid had a head start in my heart. But at first, I thought that this Goddess was only one among many. Despite the fact that she is quite popular in some Neopagan circles, I did not find her in many of the lists and books about European Gods and Goddesses. From her conspicuous absence from some anthologies, I would have thought she was a minor figure. But as I have since learned, that is far from the truth. Brigid began to come into my life more forcefully in the past two years, when I became a published author. I heard more about Brigid, although it was usually in a passing comment or a random story, rather than in weighty spiritual books. After I had published my first three novels, I decided to begin my hearth-side email circle and make the theme of my website an online hearth that welcomes all and particularly those who have faced injustice in society. I was taken aback and momentarily confused. Here was Brigid again, this time not just a passing reference but one very specifically directed at me. At the same time, I was struggling to integrate my new ideas and I didn’t have the patience for any digression. So, I let the comment pass. But Brigid didn’t let me be. Over the next few months, it seemed as if her name came up in every book I picked up. But there was precious little real information to be had about her until I ran across an Amazon recommendation for a book called Brigid: History, mystery, and magick of the Celtic Goddess by Courtney Weber. I’m a shrewd shopper, so I looked at other books on the goddess, but that one that I came across at random called to me. And I didn’t have the money to buy any book at the time, so I put it on my wish list. Then this past month, I ended up on the other side of the world in Portland, Oregon again and went into a Pagan bookstore with a little money in my pocket and a promise to get a gift “from my higher self to myself” as my mother likes to put it. And that was where I finally found a real goddess. So, here is my review of the book with one caveat. This is a highly subjective, personal thing. Many people may be inspired by another deity or another book. And this book may not speak to everyone in the way that it speaks to me. But there it is. I very rarely find a non-fiction book I can’t put down, but I read this book in record time, snatching every little minute and skimping on sleep while trying to juggle work, writing, herbal practice, activism and children—much the way Brigid juggles the aspects of hearth-keeper, bard, healer, smith and occasional warrior for just causes. The writing is that good. Within these pages I found a reflection of the divine that I can embrace personally and wholeheartedly as never before. The author Courtney Weber does a masterful job of telling her own story of discovery in a way that is humble, credible and humorous while presenting spirited retellings of traditional tales, historical research, personal reflections, meditation exercises, ritual templates and divination practices. The structure of the book is both organic and quite clear to me. Reading it felt like gaining two spiritual allies at the same time, Weber and Brigid—one immediate in this world and the other a picture pieced together from fragments until it became the goddess. I had long since despaired of ever finding a specific path or teaching that I could adopt as my own. And I am very excited to have been proven wrong in that jaded belief. Weber’s approach to Brigid is as close as I have ever found to my heart’s way. I recommend that particularly those devoted to writing and other poetic arts, healing and activism give this book a try. It may just have more miracles to work. Every religion has it's sub-categories, nooks and crannies. And given that these are matters of spirit, faith and passion, there are often vehement disagreements and a bit of prejudice between various factions. Modern Pagans are really no different from anyone else in this. I have heard my share of grumblings between "reconstructionists" and other types of Neopagans. It's easy to be confused and I withhold judgment until I can find good sources. I have been curious about recontructionists and Irish paganism specifically for some time, but most of what you can read on the subject is exceedingly dry and arcane or else overly influenced by contemporary pop culture. So, I remained largely mystified until now. Morgan Daimler's book Pagan Portals - Irish Paganism: Reconstructing Irish Polytheism has provided exactly the clear, friendly and readable introduction I needed. I am sure that some who have studied Irish and/or Celtic reconstructionism in depth may find this too simplistic but for those of us who simply want to understand it and have a readable and even entertaining introduction to the concepts without a lot of intellectual jabber this is perfect. As in her other books, Daimler presents complexity in an honest yet understandable way and then relates it to personal stories. The result is both fun and informative, backed by a wealth of research. Here are the key points about this book. There is no fluff in here at all. It's all brisk, concise information. It's eminently readable with a pleasant voice for a scholarly book. It's extensively researched and has good reviews by credible scholars. It is clear and never wishy-washy. Daimler doesn't try to manipulate, but rather simply states when she has come to her own conclusions and when it's a matter of established record. Daimler isn't afraid to use practical, personal experience to both liven up and engage the text. The book tackles some controversial issues around race, cultural appropriation and sexuality. While I do wish she had included something on environmentalism, that is simply because I would love to know her take on the issue and that of other reconstructionists. There is also a chapter about the false myths many people believe about reconstructionism, a chapter on the Irish Pagan beliefs, including a list of the most important gods and goddesses, a very practical chapter on modern practices and how it is actually done today, a chapter on the holy days and more. Many books on reconstructionism that I have encountered focus so narrowly on specifics and are so bent on proving the author as "the" scholarly authority on the subject that the average person with sincere interest could easy be lost. The mark of a truly broad and informed scholar is not so much one who can delve into the greatest detail on obscure subjects but one who knows the field well enough to present a coherent picture of the whole in terms that are understandable to outsiders. This is what this book does. I appreciate the clarity and warmth Daimler brings to this subject. 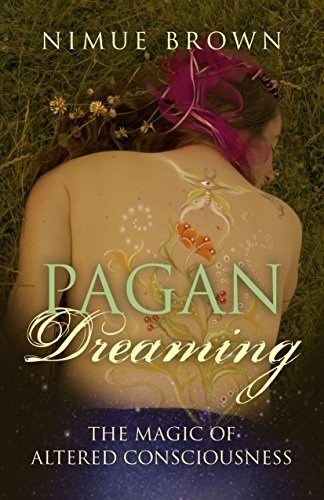 Get the next Pagan post and a free book! Irish reconstructionist author Morgan Daimler is better known to me for her fiction, which is quite entertaining. I picked up her nonfiction book Pagan Portals - The Morrigan because I have been hearing a lot of murmurs among Pagans of various stripes about "dark Goddesses" and I wanted to understand the trend and its roots as well as learn about a tradition that isn't so distant from my own. Pagan Portals - The Morrigan is essentially a beginner's text. As the subtitle Meeting the Great Queens suggests, it is an introduction. As such it is tightly packed with information. The author presents concise and well-researched chapters on the history and stories surrounding various goddesses known as or associated with the Morrigan, which is presented as both a title held by several goddesses and the name of one goddess. This part of the book can be rather dry and difficult for those who have no access to the cultural atmosphere and tradition it comes out of. To help alleviate the dryness, Daimler presents poems, invocations and prayers of offering to the various goddesses highlighted and then a short passage on her personal experiences with the goddess or issue presented at the end of each chapter. These parts of the book serve to focus the scattered information and ground the reader on a sensory and emotional level. Many reviewers view it as a positive thing that Daimler presents all sides of various disagreements among Pagans on the goddesses and issues presented. She lets the reader know which side she favors, but this is simply f information. There is no attempt to persuade the reader of the various arguments and thus for a beginner it can be disorienting. Some of the information and arguments are contradictory, and Daimler isn't going to tell you what to think. It's hard to keep straight what is debated from this short tight text. And I come out of it with very few questions actually answered, although I do know a lot more. I particularly enjoyed the chapter on the Morrigan in the context of contemporary neopaganism. It's full of welcome practicality and clear definitions. It can be viewed as a very broad how-to and with creativity and focus, one could begin a relationship with the Morrigan on this basis. As Daimler mentions, this is an introduction. It can give a sense of what there is to learn about the Morrigan. And it gives distinct hope for those, particularly women, seeking strong spiritual guidance and direction. Anyway you look at it the Morrigan is a fierce goddess of feminine power and intensity. For those who face a hard road in life and need strong protection and courageous support, there is hope here. And for those who have been made to suppress their inner fire and to feel shame for their intensity, this can be a breath of fresh air. 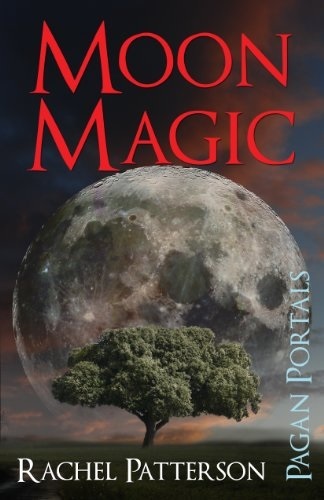 You can find this book, Pagan Portals - The Morrigan here. I have no affiliation with this author, but I do occasionally get free ebooks from her publisher in exchange for an honest review. I'm delighted to share this next book with you. Naming the Goddess, an anthology of over eighty Pagan writers edited by Trevor Greenfield, is a wonderful reflection of Pagan community and writing craft. I expect it will become a mainstay on the bookshelves of Pagans for at least a generation. The book has two parts. The first section is a series of essays tackling crucial and often divisive issues within goddess-oriented communities. There is no attempt to gloss over or hide from the issues that trouble us. They are brought out and discussed both thoughtfully and eloquently from a variety of perspectives, some of which conflict with each other. The reader is allowed to see differences in perspective and to form independent ideas. The second section is among the best references on specific goddesses that I have seen. It is heavy on Egyptian, Middle Eastern, Greek, Roman and Celtic goddesses with a smattering of others. There is a problematic lack of non-Egyptian African goddesses. Still the geographical imbalance is less marked than in most similar references and Naming the Goddess represents a step in the right direction. I hope that future editions of the book will expand the cultural diversity of the anthology. The reason I say this is one of the best references on goddesses is because each entry is written by a different writer--a writer with specific personal experience of the goddess in question. Each entry has a different flavor and a distinct passion that could never be achieved with a reference written by one person. This allows the reader to gain an intuitive sense of the goddesses, rather than just the intellectual understanding of correspondences and stories. I love a lively discussion. Feel free to comment below. How do you name the goddess? Any book recommendations on this subject? If you don't want to miss my book reviews and posts on Pagan traditions, you are welcome to join my hearth-side email circle. This is where I send out a brief "virtual cup of tea" and links to my latest posts. And given that this is my protected, spam-free corner of the internet, that's all you'll receive. The description I encountered for Wild Earth, Wild Soul by Bill Pfeiffer prior to reading it for review didn't sufficiently prepare me for the fact that this is primarily a manual for leading a particular type of retreat group. The Amazon description makes it sound like the book itself is meant to help the reader tap into ancestral memories, become part of a lasting culture and develop an ecstatic life. That's a bit misleading. The book is instead a fairly well-organized manual for workshop and retreat leaders in a specific tradition that the reader is expected to already be somewhat familiar with. The book is well-written with accessible prose and interesting examples. However, its structure as a manual for a specific type of workshop will be less useful to readers who aren't involved in the specific Wild Earth Intensive movement. It also isn't the best introduction to such a movement, with the emphasis being on how to lead groups rather than on the underlying concepts and ideas. That said the book does have one use for the general reader who is interested in community organizations and leadership. Many of the activities in the book could be adapted to other types of workshops and organizations. While some of the activities and ideas are things familiar to most people involved in environmental movements, some are quite unique and refreshing. There is enough detail that an experienced workshop leader could adapt them to a variety of situations. The one thing I find truly lacking in the book both for the general reader and for the Wild Earth Intensive movement is a serious treatment of social exclusion in groups. The focus of the book is on developing not only an ecologically sustainable culture but on forming community that will be sustainable through deepening interconnection between human beings in a group and with the natural world. The concept is a good one and mostly it is well executed. However, it comes from the perspective of a person who has always been well-accepted socially and without a deep consciousness of social trauma. There is little or nothing to address the issues facing people with disabilities or other truly marginalized individuals in a group. And these issues will come up for a workshop coordinator in such a setting. They come up at every similar conference or workshop I have attended and I have seen leaders fail time and again to address them well and bring the group to accept excluded members of the group. There is some attempt in Wild Earth, Wild Soul to address the need to balance the more talkative and less talkative members of the group through specific methods, and these are good ones. However, there are also plenty of suggestions of dividing the group up into pairs without the recognition that there will always be one or two individuals who no one will voluntarily pair with because of uncomfortable differences. There can be no sustainable culture and no interconnection as long as these issues are not addressed in the very settings where people are most interested in overcoming social and ecological trauma. The book tackles these tough issues weakly and insufficiently, yet I know of no comparable book that deals with them any better at present. I love a lively discussion. Have you ever attended a Wild Earth Intensive workshop or would you like to? What are your experiences in ecological and social interconnection? Do you have any book recommendations on this topic? If you don't want to miss my future book reviews and posts on Pagan celebrations and earth-based spirituality, you're welcome to join my hearth-side email circle. I send out the occasional "virtual cup of tea" along with links to my latest posts. And given that this is my protected, spam-free corner of the internet, that's all you'll receive. I was curious about Let's Talk About Pagan Elements and the Wheel of the Year by Siusaidh Ceanadach since I first heard about it a year ago, but I'm disappointed yet again. I have a library of hundreds of children's books, including classics and a great many obscure treasures that teach children about far-flung cultures, social troubles and emotional issues. I can easily tell the difference between the stories that hold the interest of my children and the children who I teach and those that don't. More importantly, it doesn't seem that long ago since I was a kid myself and I read stories hungrily, spitting out the ones that tasted of dry sawdust or cliched cough syrup and devouring those that had the ring of truth and mutual recognition. 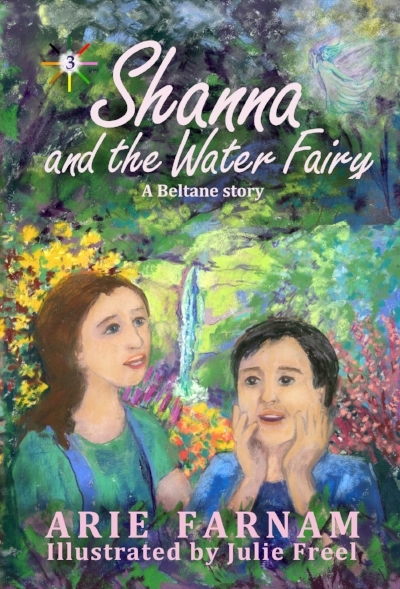 My collection contains some of most well-known Pagan books for children and yet there are regrettably few modern Pagan books that my children want to sit through, let alone ask for. The stories of Pooka the cat and those in Circle Round are the most notable exceptions. That was why I was so excited about Let's Talk About Pagan Elements and the Wheel of the Year. It isn't supposed to be just a teaching book. It contains stories about children who modern kids can relate to, or so I was told. The book's structure is straightforward, a very brief introduction to elements which reads like a short version of a particularly uninspired adult text. Then there is a short, Wiccan-leaning abstract of each of the eight Pagan holidays that make up the Wheel of the Year in many traditions. After each abstract there is a "story," which is in fact more like a character sketch of a modern child having something to do with the holiday. Each section ends with a list of research questions, asking kids to find details about the given holiday with an emphasis on agriculture. The prose is the primary problem with this book. It is formal, awkward and pedantic. The tone is that of an adult speaking to a child of about the age of six or seven, while the vocabulary and content is suitable for a trivia-oriented twelve or thirteen year old. The book fails every age level. Younger children will find the content and vocabulary inaccessible, dull and out of touch with their experience. Older children will be likely to reject the book due to the combination of the abstract overviews and the condescending tone. The "stories" which were originally the most attractive part of the book to me are not really stories at all. There is no tension, no problem to be solved, no question to be answered. Each is essentially a moralizing character sketch that Pagan parents who grew up with Christian Sunday school will recognize in tone and style. The child in each story has no dilemma but randomly comes across some information or inspiration for the holiday. That's it. The prose is again condescending and uninteresting, although somewhat smoother than the writing in the abstracts. The last part of each section--the suggested research questions--is arguably the best part of the book. If a parent was teaching children between the ages of eight and twelve about Pagan holidays, one could take these questions and adapt them for use as a kind of scavenger hunt. They won't satisfy the interests of teenagers well but middle grade kids, especially those with some experience with farming, may find them mildly interesting. Still there are better resources available both in books and free on-line. All in all, I am still hoping for better Pagan children's books. This one is disappointing with no good excuse. I have no specific quibble with the content. It isn't incorrect or offensive in any significant way. 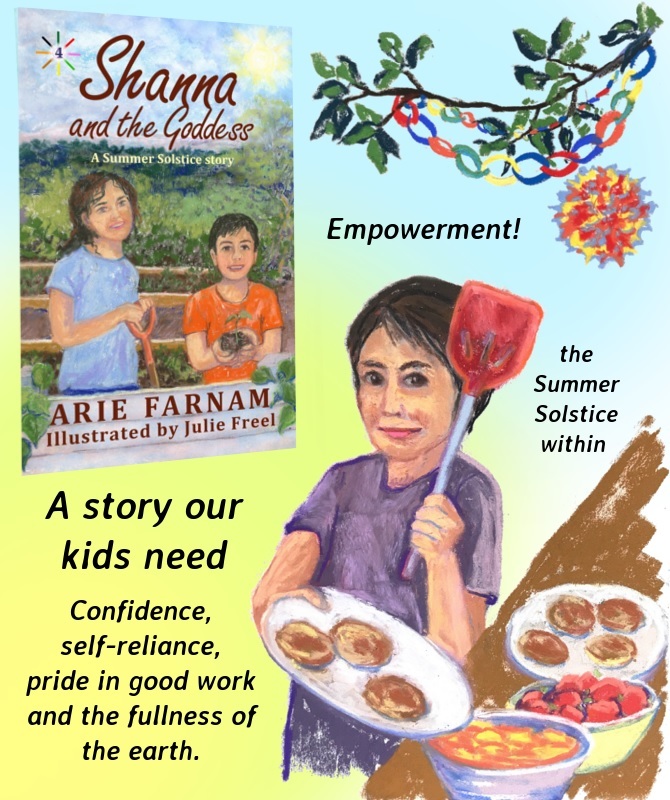 It leans toward Wiccan paths and has a relatively heavy focus on agriculture, making it difficult for many modern kids to relate to. The Wheel of the Year is tied closely to agriculture after all, but there are better ways of making that connection relevant to children living in cities and growing a pot of basil on their window sill. I love a lively discussion. Comment below if you are interested in Pagan children's books, have any recommendations or experiences to share. If you'd like to see more reviews of contemporary Pagan books as well as posts on kid-friendly Pagan celebrations, join my heath-side email circle. I send out an occasional virtual cup of tea along with links to my latest posts. And given that this is my protected, spam-free corner of the internet, that is all you'll get. I grew up with spiritual beliefs adopted from earth-based traditions that floated around the air in my parents' generation. We never had a name for what we believed and were always taught to think that the spirituality of indigenous peoples is to be coveted among those with an earth-based or Pagan bent. Recently I have become interested in more seriously studying the beliefs of various cultures, to understand where our beliefs come from and find appropriate words to describe my own beliefs. I jumped at the opportunity to review Way of the Druid by Graeme K. Talboys because I live in an area of Central Europe that was once heavily Celtic. The shadows and echos of ancient Celtic beliefs still crop up in folk traditions from time to time. My own background is mixed enough to contain a little Celt here and there as well. So, I came to the book with interest but a little trepidation. It looked like an academic tome and I wasn't sure I had the attention span at the moment, while dealing with toddlers. It is hard to find time to read these days and it takes a lot to hold my attention. It felt a bit difficult to get through the compact section on history at the beginning of Way of the Druid, but when it was over I realized that it was actually fairly painless as histories go. 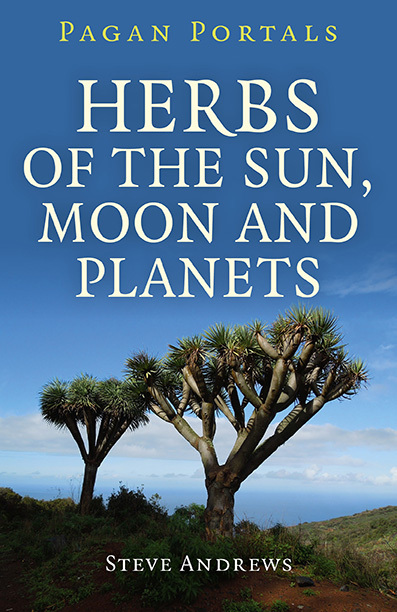 It managed to summarize the history while shedding light on the academic controversies and problems with evidence when detailing the lives of Druids who specifically didn't write down their beliefs. After that the book picked up the pace of interest with sections on the Celtic metaphysic, the nature of religion, the history of Druid revivalism and overviews of modern Druid practices, beliefs and traditions. As some other reviewers have mentioned, the book doesn't go into great detail about modern Druid orders or organizations. It isn't dated by a focus on certain groups or events and it is not promoting any particular Druid group or interpretation, which was a great relief to me. There are controversial matters of academic debate in the book and without going to all the source material, I can't say that the author is correct in all conclusions. 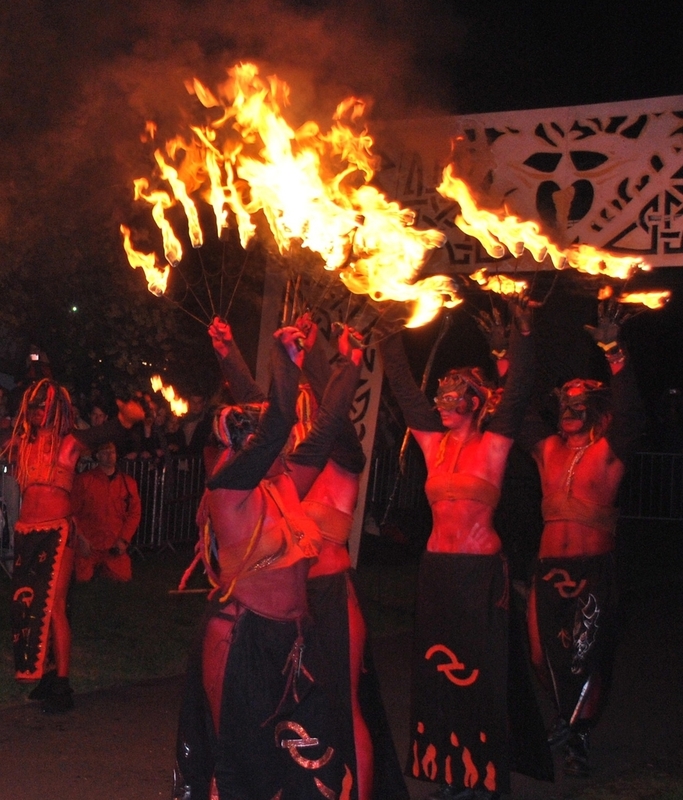 However, the work makes a serious attempt at both historical documentation and a solid portrayal of modern Druid traditions, walking a difficult path between being broad enough not to exclude or offend various groups and yet specific enough to make sense. I found the prose to be concise and readable. There are dry sections. There is no attempt to make history or the discussion of religion theory into somethihng funny or entertaining. The reader is either interested in these topics or the reader isn't. I am interested and I found the theoretical sections as fascinating as the practical parts. The structure was clear and without meandering. I can easily see where I could come back to the book in the future to find specific information through the table of contents and turn to the right section without trouble, even in the parts that describe seemingly amorphous metaphysical concepts. This book would be useful for those interested in comparative theology, religion, European history and anthropology. 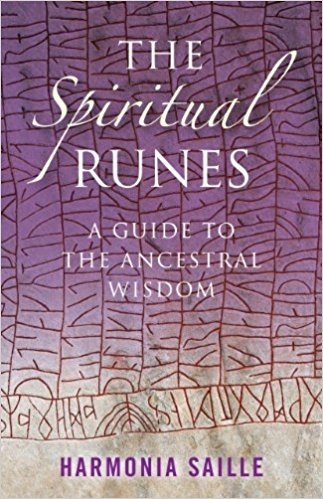 It is specifically helpful to anyone who wants to understand modern Druids and may be very helpful to those exploring earth-based spirituality. One thing you will find here that I have found lacking in so many other places is a very clear description of the worldview of Celtic peoples and an understanding of how different these views are from Anglo-Saxon, Classical and Abrahamic concepts. It is also very different from the beliefs of indigenous peoples on other continents. It answered a lot of subtle questions I didn't even know how to ask and helped to patch some holes in my web of understanding, linking the diverse cultures that make up our family and social background.